Footballer Cristiano Ronaldo has reportedly agreed to accept a £16.4m (18.8m euro) fine and suspended jail term to settle tax evasion charges. The Real Madrid and Portugal footballer, 33, was accused last year of defrauding tax authorities of €14.8m (£12.9m), charges he denies. Ronaldo offered to pay £12.9m in June 2017 but the government rejected the offer, the El Mundo newspaper reported. The news comes hours before Portugal take on Spain in the World Cup. Spanish courts have recently cracked down on tax evasion among footballers. 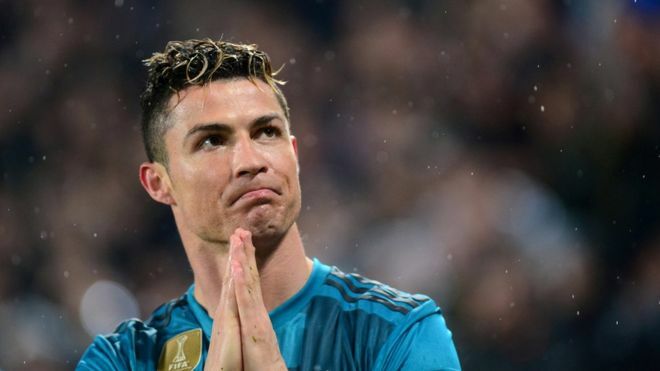 Ronaldo is unlikely to serve any jail time under the deal - reportedly a verbal one at this stage. Under Spanish law, a two-year sentence for a first offence can be served on probation, with no requirement for custody. Any deal would have to be signed off by Spain's tax agency. It has accused the footballer of trying to hide money linked to image rights made between 2011 and 2014.